Now that we are in June summer is supposed to arrive in the British Isles any moment. 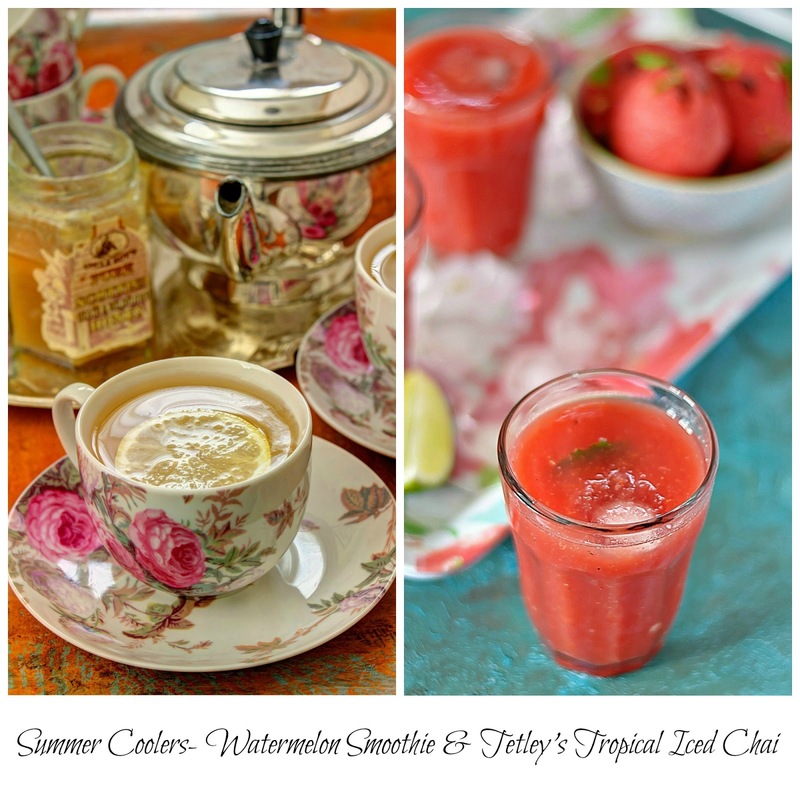 In anticipation of a summer with a blazing hot sun, I am getting my summer menus ready. First we start with the coolers. 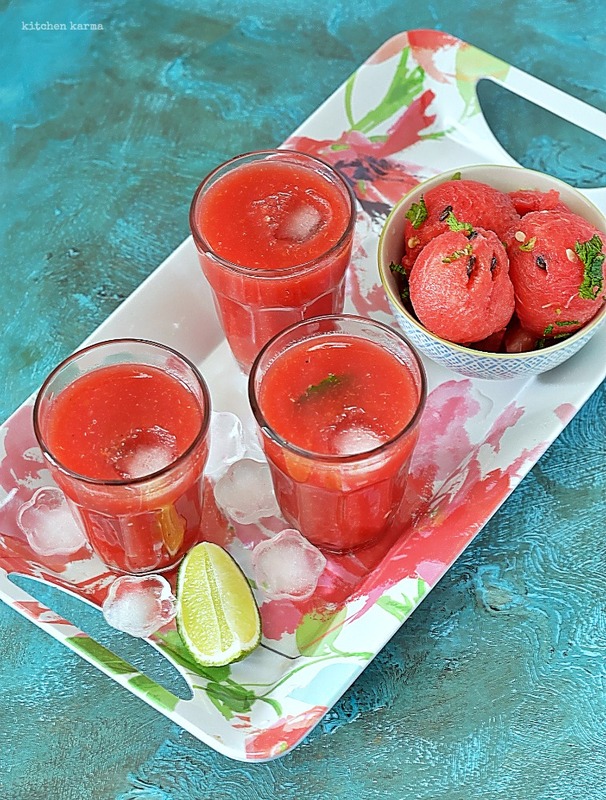 Nothing can beat a refreshing drink on a hot summer's day, right? Presenting two very easy to make drinks. These drinks are healthy as well as delicious or shall I say deliciously healthy? One is a watermelon smoothie. 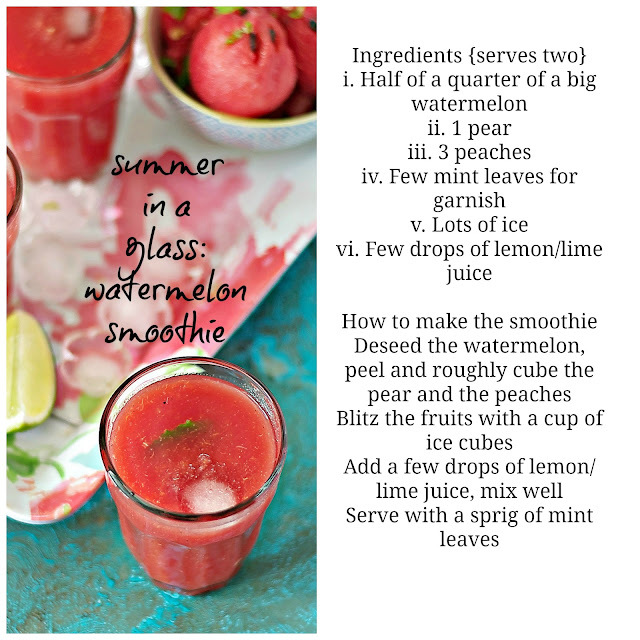 I am a little bored with the usual watermelon drink that I usually serve over the summer, so trying out different combinations and this one works really well. All this smoothie has are watermelon, pears and peaches. The pears and the peaches go really well with the watermelon and adds depth to the drink. 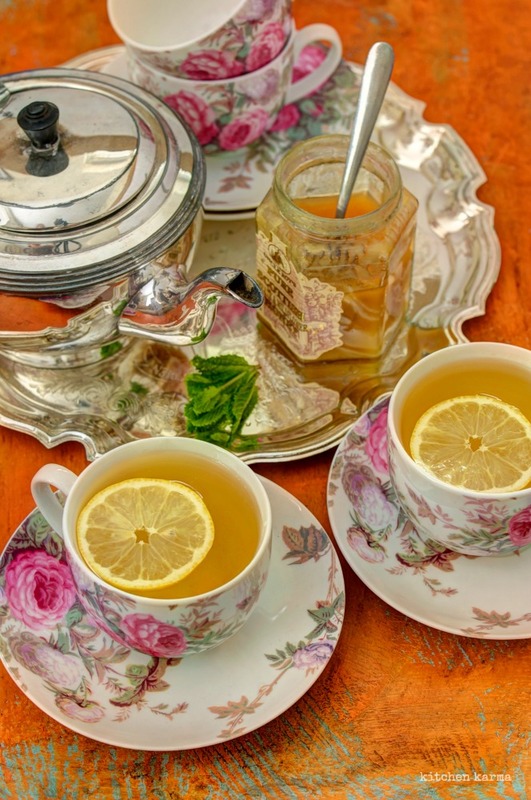 While serving add a sprig of mint, the mint brings in a nice smell and adds to the flavour. Makes great breakfast and keeps you pretty full till lunchtime. The next one is even easier. To make. But no less tastier. It's Tetly's Tropical Iced Chai. 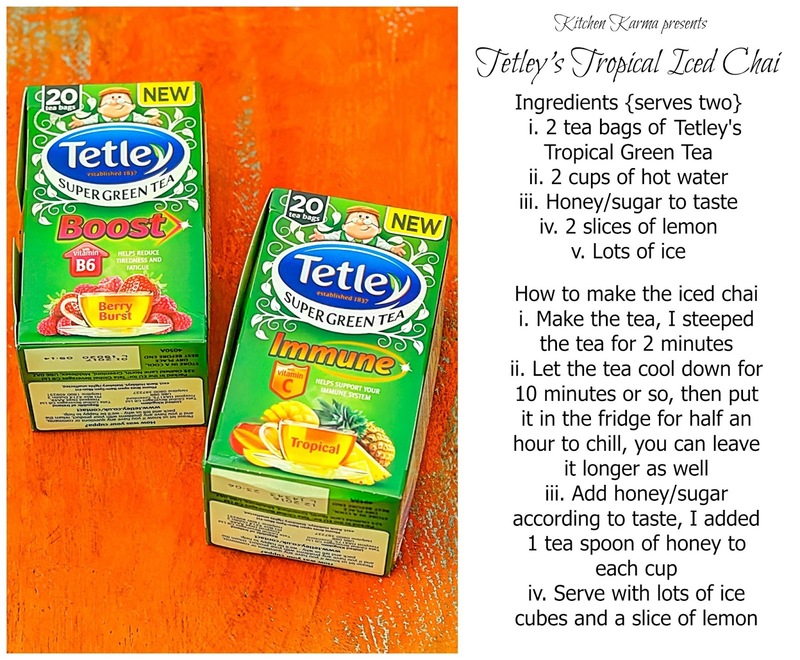 When the folks at Tetley wrote to me saying that their tropical flavoured green tea is not only good for health but is perfect for serving as iced tea I was a little skeptical. I mean if you are used to making iced tea, you would know how much additional flavours/juices plus sugar go in to make the tea enjoyable. Putting my skepticism aside, I followed their instructions and made the iced tea, it has a nice smell and it's delicious. I see myself drinking this a lot over the summer. Want to try your hand making this? Just make the tea and chill it. Yes it's as simple as that.